2019 DF175 - 20 in. 2019 Suzuki DF175 - 20 in. Suzuki's DF175 is based on an inline four cylinder DOHC powerhead with a 2,867cm³ (174.9 cu.in.) displacement. While the large displacement contributes greatly to producing exceptional acceleration and torque, it doesn't mean that they are comparatively larger and heavier in size. On the contrary, Suzuki's engineers have targeted this big block motor to be one of the lightest four strokes in the 175 HP class. Mechanical Shift: 511 lb. ; Drive By Wire: 520 lb. It's interesting that the month of the Tax Man begins with April Fool's Day and ends with cries of May Day. 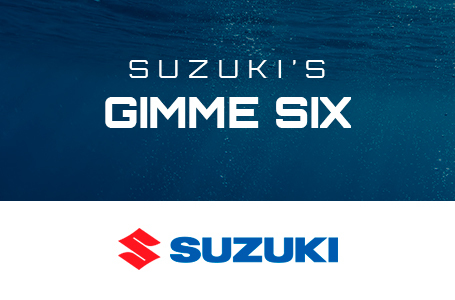 Well this month Suzuki Marine has crunched the numbers and figured out how to help with "Suzuki Tax Man Customer Rebates". 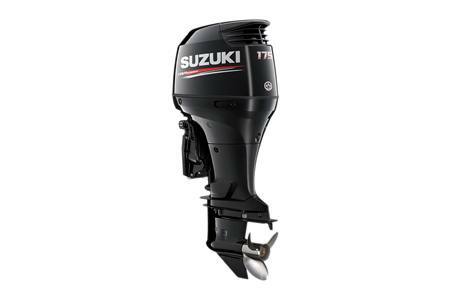 Right now your local Suzuki Marine Dealer is sharpening his pencil and ready to make a deal with customer rebates up to $400.00 on eligible Suzuki Outboard motor purchases - 40hp to 350hp. There are no extensions to file, no deductions to look for and no reason to avoid this event. Don't procrastinate, run on down to your local Suzuki Marine Dealer from April 1 to April 30, 2019. The rebates of up to $400.00 can help out with the rigging of new boats or the re-powering of your current boat with new Suzuki Outboard Motors. 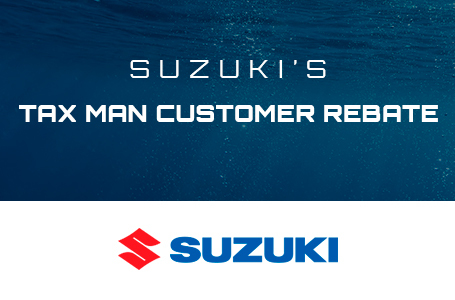 Don't wait to save, as the "Suzuki Tax Man Customer Rebates" deal will only last until April 30, 2019. Now is the time to take advantage. Certain restrictions apply. For all of the details, customers should visit their participating Suzuki Marine dealer or call (714) 996-7040. 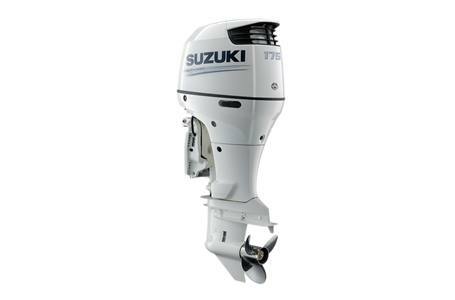 You can also find a Suzuki Marine Dealer on www.suzukimarine.com - "Locate a Dealer"
The Gimme Six promotion applies to 124 Suzuki fuel-injected four-stroke outboard motors from the "Award Winning" DF25A to Suzuki's updated DF115A and DF140A engines with "Lean Burn", even Suzuki's new In-Line 4 Cylinder DF175A and DF150A, all the way up to Suzuki's Flagship DF350A with Contra Rotating Propellers. Gimme Six applies to recreational use only. Sale must be from dealer inventory between April 1 to June 29, 2019. 2019 Suzuki DF115A - 20 in. 2019 Suzuki DF115A - 25 in. 2019 Suzuki DF115SS - 20 in. 2019 Suzuki DF115SS - 25 in. 2019 Suzuki DF140A - 20 in. 2019 Suzuki DF140A - 25 in. 2019 Suzuki DF150 - 20 in. 2019 Suzuki DF150 - 25 in. 2019 Suzuki DF150AP - 20 in. 2019 Suzuki DF150AP - 25 in. 2019 Suzuki DF150SS - 20 in. 2019 Suzuki DF150SS - 25 in. 2019 Suzuki DF175 - 25 in. 2019 Suzuki DF175AP - 20 in. 2019 Suzuki DF175AP - 25 in. 2019 Suzuki DF200A - 20 in. 2019 Suzuki DF200A - 25 in. 2019 Suzuki DF200AP - 20 in. 2019 Suzuki DF200AP - 25 in. 2019 Suzuki DF200SS - 20 in. 2019 Suzuki DF200SS - 25 in. 2019 Suzuki DF70A - 20 in. 2019 Suzuki DF90A - 20 in. 2019 Suzuki DF90A - 25 in.